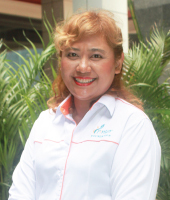 Karimah Tan Abdullah joined PINTAR Foundation on 11 July 2011. She was formerly with UEM Land since 2007 as the General Manager of Corporate Communications and has been with the UEM Group since September 1995. She has held various positions within the UEM Group, including Vice President of Corporate Communications at TIME dotCom Berhad in 2001. Before joining UEM Group, Karimah was in the advertising industry where she worked in various local and international agencies including KHK Needham, Wings BBDO and AMC Advertising. The last position she held in the advertising industry was that of Account Director at Limkokwing Integrated Sdn Bhd. She obtained her Honours Degree in Science and Diploma in Education from National University of Singapore, and MSc in Business Leadership from Northumbria University, United Kingdom. Norzalina Masom re-joined PINTAR Foundation on 16 June 2015. 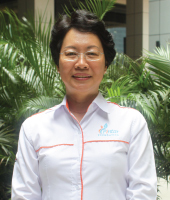 She was formerly with MERCY Malaysia as the Head of Department for Disaster Risk Reduction and was the Head of Programme Development and Management in PINTAR Foundation from 2008 till February 2014. Her experience in other several organisations such as Multimedia Development Corporation, Ministry of International Trade and Industry and XYBASE Sdn Bhd has afforded her the opportunity to work with various industries and background, locally and internationally. This has also enabled her to become familiar with strategic planning, scheduling, project management and implementation as well as business development in multiple projects. She obtained her Honours Degree in International Relations from University of Michigan, Ann Arbor, USA. Siti Nor Sahidah Mohit, who joined PINTAR Foundation in September 2018, has more than 10 years of experience in stakeholder management. 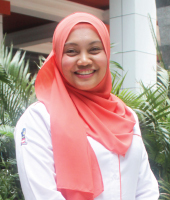 Previously, she worked with Malaysia Healthcare Travel Council (MHTC) under the Industry Management Division managing the Partner Management team. Prior to that, she was attached with PETRONAS Dagangan Berhad (PDB) leading the Stakeholder Relations team. She also had experience with Malaysia Digital Economy Corporation (MDeC) under the Stakeholder Engagement Division. She graduated with a Bachelor Degree (Hons) Multimedia Communications, Open University Malaysia (OUM), and a Diploma in Information Technology, University of Malaya (UM). Nazehan Mohd Nasir joined PINTAR Foundation in October 2017. She began her career in the finance industry, working as a credit analyst handling clients that ranges from various industries such as oil and gas, property development and power generation, before realizing her true calling in Corporate Communications and Corporate Responsibility. Mas Elati Samani joined PINTAR Foundation in August 2015. She has more than 20 years of experience in marketing, corporate communications, public relations, project management, event management and copy writing. She started her career in writing as a Journalist for a major newspaper in Malaysia. Her passion to think beyond the box made her to leave journalism after a tenure of seven years and move to other areas of writing, communication, public relations and marketing. Her portfolio includes having worked with direct-selling, education, online portals, non-profit and telecommunication organisations. She holds an Executive Masters in Operations and Project Management, and Executive Bachelor in Management from Asia e-University.